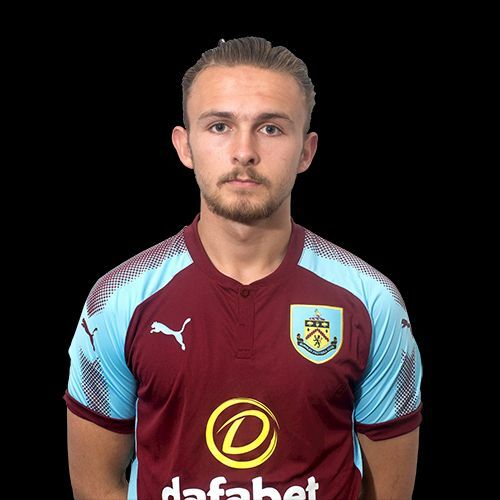 Burnley play Birmingham City this afternoon in the Professional Development League with the game being played behind closed doors at Gawthorpe with a 1 p.m. kick off. It’s a bottom of the table clash with the Clarets marooned at the bottom of the league with just 13 points and Birmingham third from bottom having won 21 points although they have played two games more than us. It’s a return fixture with the game earlier in the season having been drawn 2-2 after we’d held a 2-0 lead at half time. Birmingham had looked the better side for the first half hour but we went in front when Remeao Hutton turned a Tunde Bayode cross into his own goal. That lead was doubled seven minutes before half time with Jamie Thomas (pictured) latching on to a through ball from Dwight McNeil to hammer home. The score remained at 2-0 until there were just over twenty minutes remaining, but Birmingham then scored twice in five minutes through Charlie Lakin and Olly McCoy although Burnley finished the stronger and came close to winning the game only for Rahis Nabi to be denied a goal right at the end with a superb last ditch tackle from a Birmingham defender. With the first team squad currently out in Portugal, a young line up is guaranteed for this afternoon’s fixture.